Since its founding in 2012, the Catskill Jazz Factory has worked to specially commission and develop world premiere projects with a host of today's top young jazz artists. With the objective to enable these projects to tour beyond the Catskills, many of these projects are available for bookings. Timeless classics were elevated by modern masters when the Marcus Roberts Trio joined by Aaron Diehl and Cécile McLorin Salvant revisited and revitalized the works of jazz piano greats George Gershwin and Jelly Roll Morton. Combining lesser-known works with new arrangements of favorites, this project is a celebration of the past while tracing a musical lineage that spans a century. This tribute featured Roberts and Diehl perform a tribute to jazz master Jelly Roll Morton, and Salvant, Rodney Jordan (bass), and Jason Marsalis (drums) celebrate the works of George Gershwin. New York-based pianist, composer, and bandleader Steven Feifke presented his Big Band of Catskill Jazz Factory All-Star musicians in an electrifying night of jazz standards old, new and blue that culminates in a special arrangement of Gershwin's masterpiece, Rhapsody in Blue, featuring both jazz and classical piano. 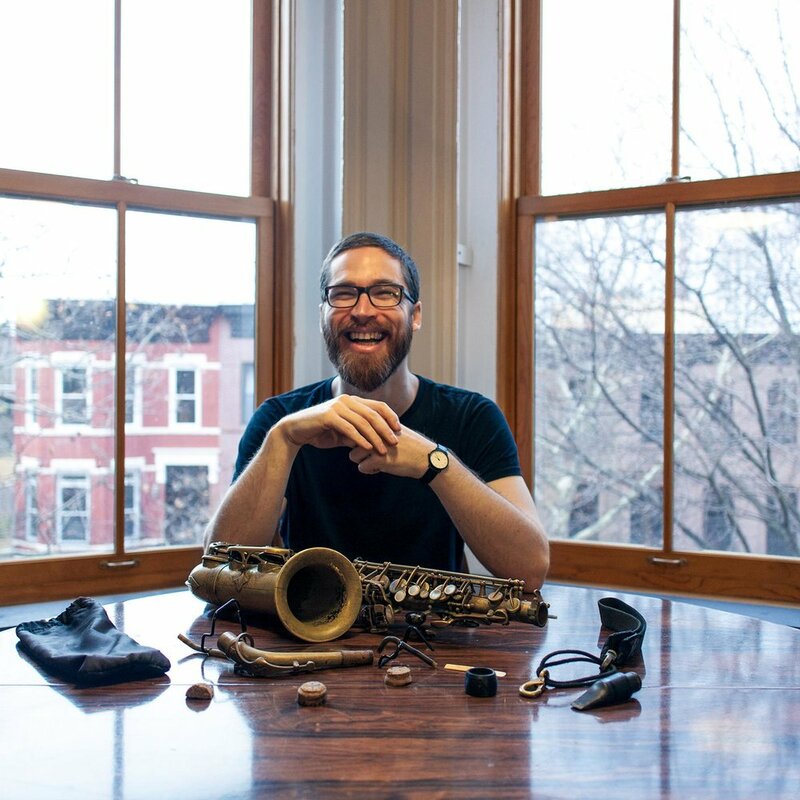 Feifke was named “a masterful pianist with an acute sense of harmony, Feifke is a powerful presence whether soloing or comping” by Jazziz Magazine and has led extensive educational outreach with Catskill Jazz Factory since its founding. An unprecedented mash-up of J.S. Bach and the Great American Songbook from Cole Porter Fellows Dan Tepfer and Aaron Diehl. This one-of-a-kind collaboration explored the unlikely common ground between two leading talents from opposite ends of the jazz spectrum. Diehl is an aficionado of the early tradition of jazz piano, while Tepfer is inspired by avant-garde, cutting-edge jazz. Tradition meets contemporary and jazz meets classics in this display of Double Trouble. Trumpeter Alphonso Horne and pianist Chris Pattishall re-animate the legacy of Louis Armstrong from a unique perspective: the pianists who performed with and influenced the legendary trumpeter. From his second wife Lil' Hardin to Earl “Fatha” Hines, Fats Waller, Duke Ellington, Clarence Williams, and Dave Brubeck, this program presents a broad range of Armstrong's career in an intimate yet lively setting. Acclaimed jazz pianist Dan Tepfer makes music at the intersection of jazz standards and avant-garde compositional practices. 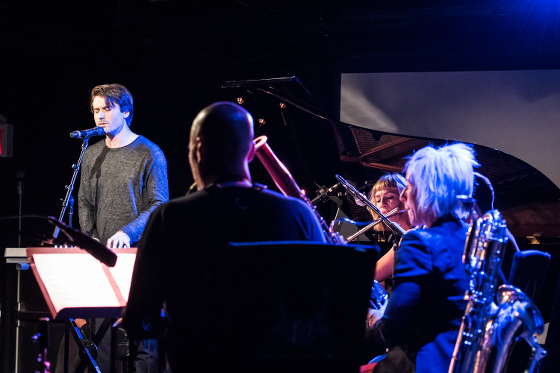 Joined by members of the International Contemporary Ensemble (ICE), Tepfer uses the Yamaha Disklavier digital piano in combination with iPhones and iPads to explore live musical improvisation and computer-driven algorithms through acoustic sound. Joining Tepfer are ICE musicians Joshua Rubin, clarinet; Rebekah Heller, bassoon; Alice Teyssier, flute; and Ryan Muncy, saxophone. A night in centennial tribute to Billy Strayhorn, Duke Ellington's most longstanding and intimate collaborator. THE ELLINGTON EFFECT is led by saxophonist Caleb Curtis and featured Marquis Hill on trumpet, Mike Fahie on trombone, Adam Coté on bass and Jeremy Siskind on piano. This program brings Strayhorn's repertoire to life in a fresh way by delivering various renditions rotating as solo, duo and trio performances. History’s best composers were expected to churn out improvisational masterpieces with regularity, so why are our associations with improvisation so deeply tied to jazz, yet so little to the classic musical past? Spanning 300 years of musical history, this program is led by master Brazilian pianist André Mehmari alongside special guest pianists Chris Pattishall and Tanya Gabrielian performing variations on works by Bach, Scarlatti and Schubert as well as ragtime numbers, Brazilian choro, jazz and pop standards and showtunes. Experience the irresistible grooves of South African jazz that inspired Paul Simon’s Graceland with UHADI, masters of Johannesburg’s jazz scene. UHADI is led by saxophonist McCoy Mrubata and features trumpeter Feya Faku, pianist Paul Hanmer, bassist Herbie Tsoaeli, and drummer Justin Badenhorst. This celebratory and joyful repertoire features UHADI joined by a host of special guests, including master Afro-Latin trombonist Chris Washburne, rising star South African vocalist Vuyo Sotashe, blues guitarist Gary Wittner, saxophonist TK Blue, trumpeter Lesedi Ntsane, extraordinary vocalist Nonhlanhla Kheswa, and Evan Christopher, master New Orleans clarinetist. 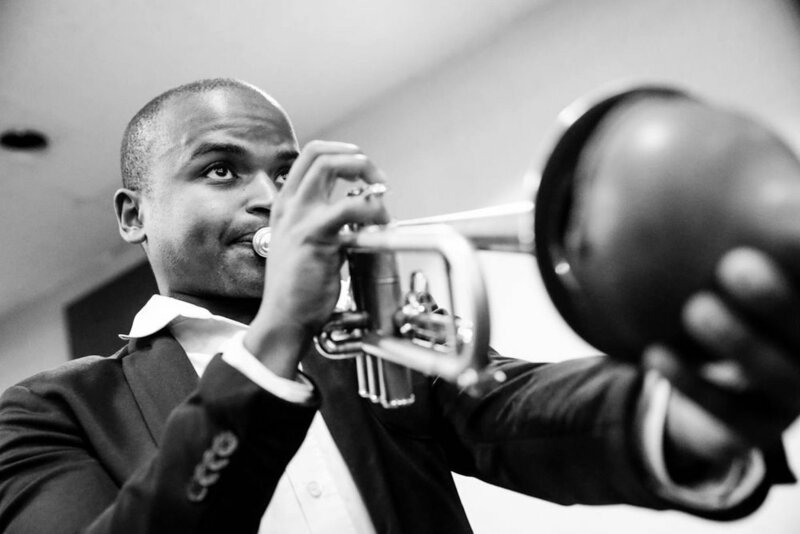 "One of the best trombonists in New York" (New York Times) joins forces with “one of Brazil’s best kept secrets” (EJazz News) to lead an all-star jazz cast in a ragtime revival, celebrating 100 years of Scott Joplin and the birth of jazz! Powerhouse Latin jazz trombonist Chris Washburne and Brazilian virtuoso pianist André Mehmari plus master New Orleans clarinetist Evan Christopher, acclaimed jazz and classical vocalists Sarah Elizabeth Charles and Candice Hoyes, trumpeter Alphonso Horne, percussionist Vincent Cherico and bassist Hans Glawischnig come together to deliver a stunning centennial tribute to the "King of Ragtime Writers" Scott Joplin, and an exploration of the international roots of jazz. This retrospective addresses the international roots and influences from traditional folk songs to early American jazz pioneers such as Joplin, WC Handy, Jelly Roll Morton, Louis Armstrong and Bessie Smith. With repertoire ranging from the classic to the current, audiences can anticipate hearing legendary pieces like Maple Leaf Rag as they were originally written in this cross-contemporary debut. Named by Wynton Marsalis as one of the top five jazz musicians under 30 to watch, pianist Chris Pattishall will lead an octet in this debut night dedicated to the magical realist writings of Argentinian author Jorge Luis Borges. FICTIONS is a premiere set of musical miniatures that blends an imaginative chamber music sensibility with elements of tango, chacacera, candombe and zamba (music and dance forms of Argentina and Uruguay) with a lineup featuring Patrick Bartley (clarinet), Alphonso Horne (trumpet), Benjamin Sutin (violin), David Moss (cello), Sam Reider (accordion), Yasushi Nakamura (bass), Alex Wintz (guitar) and Vuyo Sotashe (narration). Pattishall's all-original compositions will draw on classic tango such as Angel Villoldo's “El Choclo,” the symphonic tone poems of Rimsky-Korsakov and Richard Strauss, and the works of Astor Piazzolla. Don’t miss this musical tribute to Borges' fictions within the romance, flair, and mythical violence of Argentinian tango’s golden age. Acclaimed pianists Jeremy Siskind—winner of the Nottingham Solo Piano Competition—and Justin Kauflin—who has turned the heads of jazz legends from Clark Terry to Quincy Jones—will present songs of protest and reconciliation, drawing upon this rich songbook of timely messages. This program features special guest vocalists Brianna Thomas, named “best young straight-ahead jazz singer of her generation” by the Wall Street Journal, and Vuyo Sotashe, who has placed at competitions including the Mid-Atlantic Jazz Festival Vocal Competition, Shure Montreux Jazz Voice Competition, and the Thelonious Monk Institute International Jazz Vocal Competition. The Spiritual Side of Duke explores the less recognized and spiritual elements of Ellington's famous body of work, honoring one of jazz music's greatest legacies in homage to his "sacred concerts," three massive works from Ellington that were written between 1965 and 1973 that combine elements of jazz, classical, choral, gospel, blues and dance. Featuring John Lumpkin II (drums), Toru Dodo (piano) and Adam Coté (bass).